The 2019 Orbea Gain M20i e-road bike is the enhancement needed to open up road cycling to a broader audience. One would expect quite a bit of shock and awe with a pedal assist road bike like the Orbea Gain, but with first impressions there’s anything but that. For one, it looks just like a standard road bike, with svelte lines that neatly hide the bike’s controller and battery. Once out on the road, however, it’s difference makes itself both known (feelings of superhero climbing ability come to mind) and unknown (drag-free motor, quiet operation). 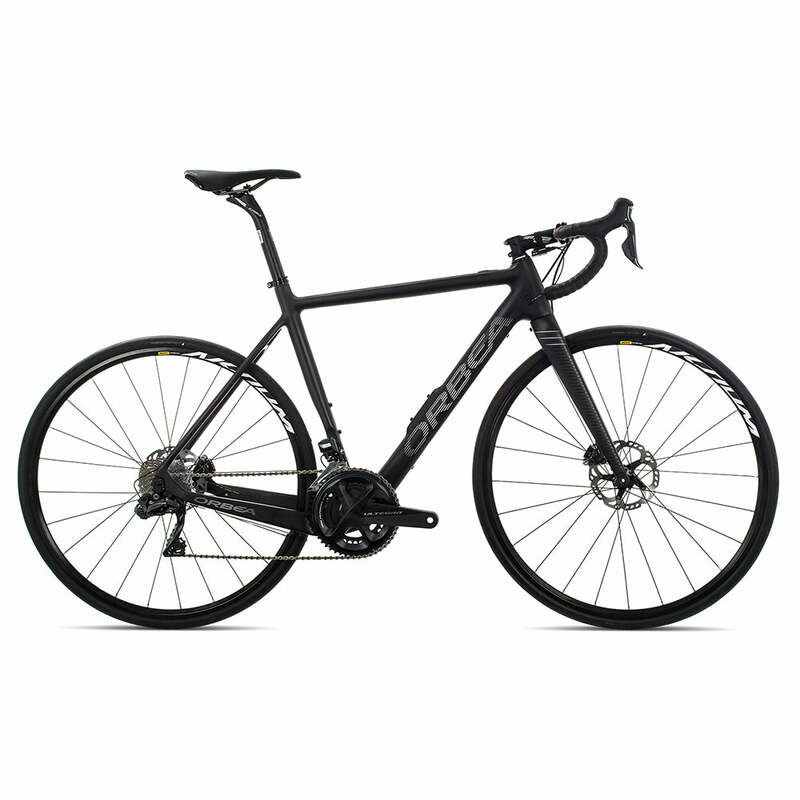 Truly, the 2019 Orbea Gain M20i e-road bike is the enhancement needed to open up road cycling to a broader audience. Orbea claims that the Gain e-bike is designed to enhance the ride, not dominate it. They achieve this through slick use of the Ebikemotion X35 drive motor. This uses a hub-based motor that offers 40 Nm torque and 250 W power, and offers drag-free operation above the 20 mph assist limit. Assist levels are controlled by what Orbea calls the iWoc ONE controller, a single LED-backlit button which is embedded in the top tube. From here, riders can select between three levels of assist, and see where their battery life is mid-ride. Need more information? Ebikemotion offers a companion app that not only offers battery life and power output, but GPS navigation and auto-uploading to Strava. Accompanying the stealthy motor is a 250 Wh battery that offers strong performance despite it’s diminutive size (Orbea doesn’t make any claims, but many riders say that the battery gets 60+ miles of range with juice to spare). This keeps weight low (the whole pedal assist system weighs in at under 8 pounds), and combined with the M20i’s carbon frame and fork, ensures the bike handles much more like a normal road bike than a hulking e-bike. The hub-based drive motor is drag-free when not offering a helping hand, but when they do offer a helping hand, assist is sneaky and well-disguised. Generally speaking, it’s not until you look at how fast you climbed the mountain that you see that there was a bit of motor-doping going on; it’s that good. The 2019 Orbea Gain M20i pedal assist all-road bike starts with the Gain carbon frame and fork, as well as the Ebikemotion X35 drive motor. This is accompanied by a Shimano Ultegra Di2 R8070 drivetrain, a Mavic Aksium Race wheelset, Mavic Yksion Pro 700 x 28c tires, and a FSA cockpit. Five sizes are available (XS-XL) in a Black-Grey, Orange-Yellow Gloss, or a Blue-White-Black Matte colorway. 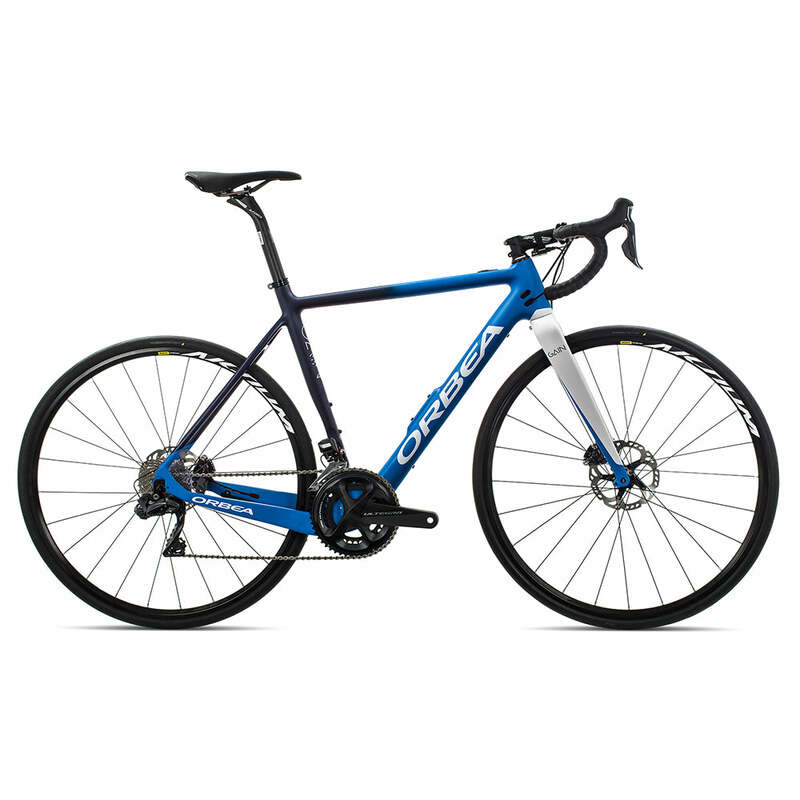 Have any questions about the 2019 Orbea Gain M20i e-road bike? Give us a call during shop hours, or send us an email any time to info@contenderbicycles.com.